We will be going through this in class. 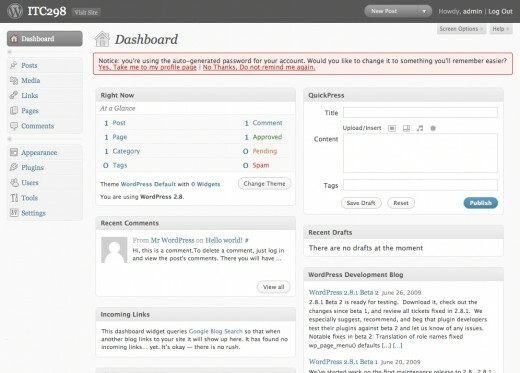 By next Tuesday, everyone must have WordPress installed. 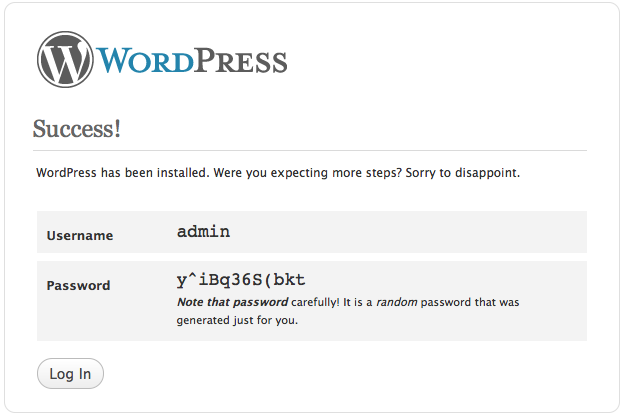 There are many ways to install WordPress. 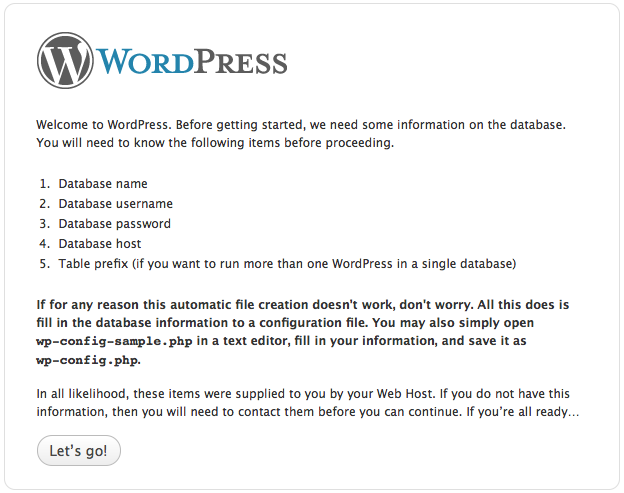 Refer to the WordPress Installation guide for more information. If you have a fear of the command-line and don't believe you will need it in the future (if you are not here to become a Web Developer--don't feel bad, it's not the only vocation), you can proceed to follow Mike Sinkula's non-command-line instructions. I will walk around and help you after class if you need it. We will be using some command-line here. This is crucial for web development. 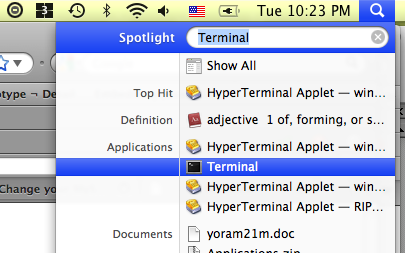 You must get familiar with the command-line. Here's a primer (although, we will be covering more of this in class). However, on a shared host (like Dreamhost or Zephir), you won't be able to do it that way. Dreamhost has a 1-click install that's drop-dead simple to use, but other hosts may not have that option. 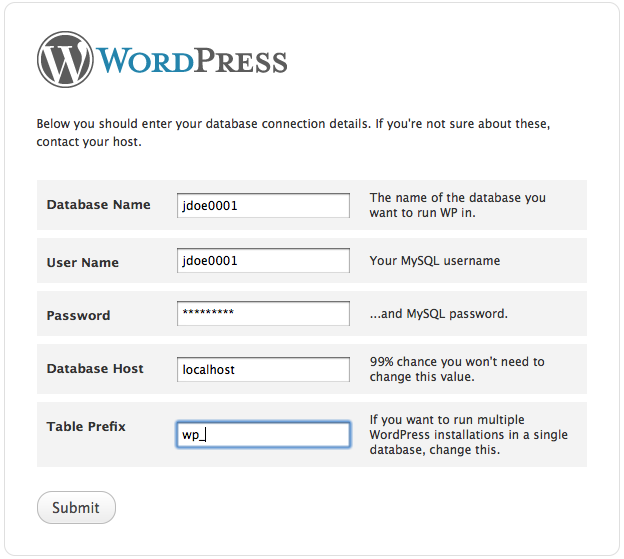 Instead, you can use the wget command (web get) to download the latest wordpress directly to your web hosting server. Then you can unpack the archive on that machine, configure it via the web and you're done. This is the method we will use. 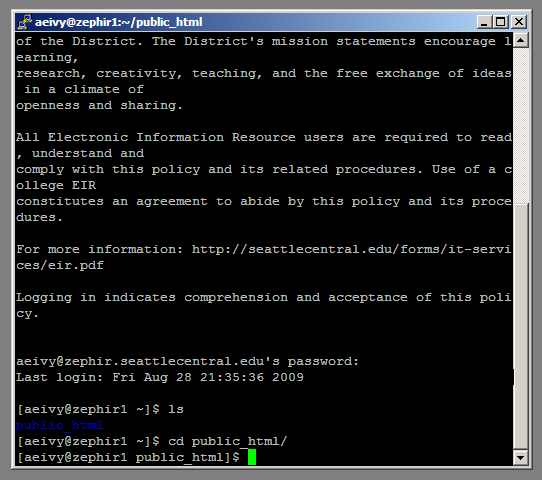 Enter zephir.seattlecentral.edu (or your personal web domain) into the "Host Name" field. Make sure the port is set to 22 and Protocol is set to SSH. Note: Always use SFTP/SSH to connect to your web server! FTP is insecure, passing both your username/password and all of your data unencrypted from your location to your server (which may have many computers listening between the two locations). If there is a PuTTY Security Alert dialog, click "Yes". You are now have command-line access to your web server over an SSH (secure shell) connection. You can now run commands (but be careful as the linux command-line will allow you to shoot yourself in the foot if you point a gun at your toes). If you get a warning, type 'yes' (without quotes) and hit enter. Then enter your password. If you are not on zephir, change into your web directory. 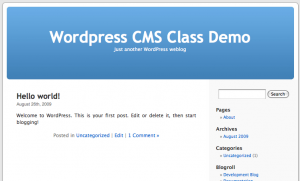 Now run the following three commands to download, extract and cleanup the wordpress archive. After running this command, you will have a file in your current directory named 'latest.tar.gz'. 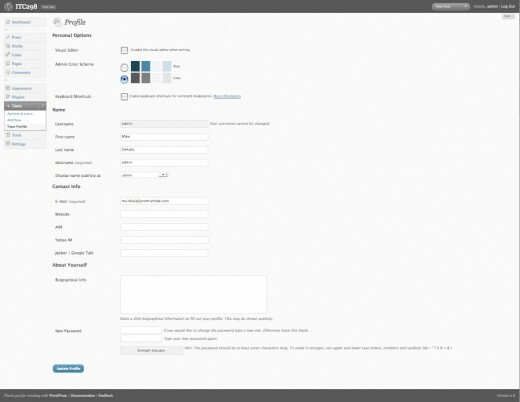 Now you will have a folder called 'wordpress', which contains the wordpress application. To learn more about tar, type 'man tar' to read the tar application manual. 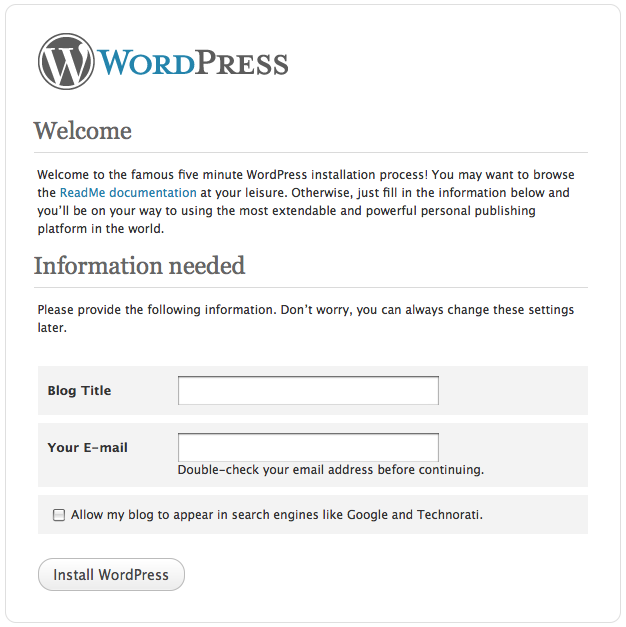 The simplest way to configure your new WordPress install is to use the Web Interface. 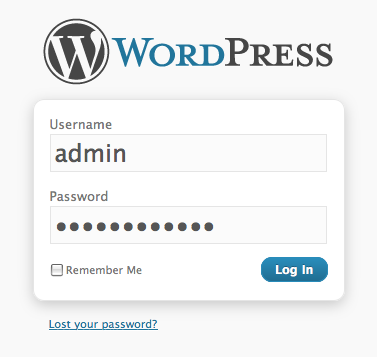 If you installed WordPress to your root directory, just go to your web domain. Enter your details and save it. Copy this password before you click "Log in"
Type 'admin' for Username and paste in the password you copied from the previous page.